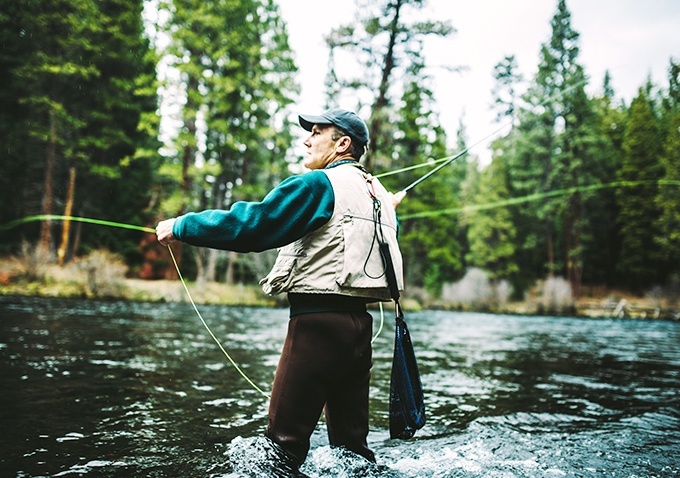 Salmon King Lodge Guide Service takes you on a salmon or trout fishing experience that extends beyond the Rogue Bay and into the beautiful Rogue River as it snakes and winds through the Sisykiou National Forest. Offering some of the best salmon fishing in the world, their renowned IGFA Certified Professional Guide, Bill Divens, will help you to experience an amazing outdoor fishing adventure you'll never forget. You'll follow the salmon from the ocean to pristine upstream holding waters deep in the forest to bring home the take for the day, all cleaned and freshly filleted right in front of your eyes. Dive into this special fishing experience today. Prices - $400-$1000, depending on number of anglers. Includes high-quality rods, reels, terminal tackle, lures & bait and fileting of your catch. Call 866-877-8354 or email [email protected] for hours. Call 866-877-8354 or email [email protected] for details. When is the best Rogue Salmon season? A If you're looking to catch Rogue River Steelhead salmon, the best fishing season is December through early March. From late March through June, the Rogue River is considered to be one of the best fishing rivers in the world for catching Chinook salmon. What types of excursions can I book? A At Salmon King Lodge Guide Service, you can book two to five person, 8-hour salmon or trout river fishing excursions that include rods, reels & tackle, live bait, lures and catch cleaning and filleting. For more information about creating a custom fishing adventure, please call 866-877-8354.